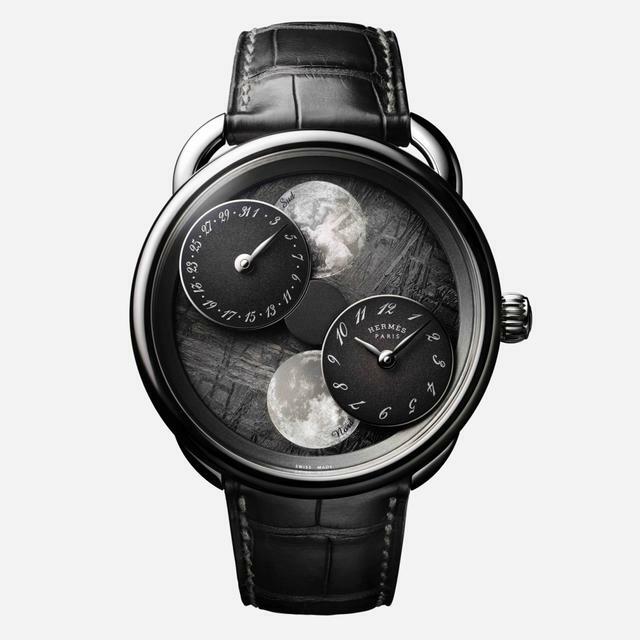 Available with two stunning dial options, the Hermès Arceau L’heure de la Lune is a particularly bold moonphase watch. 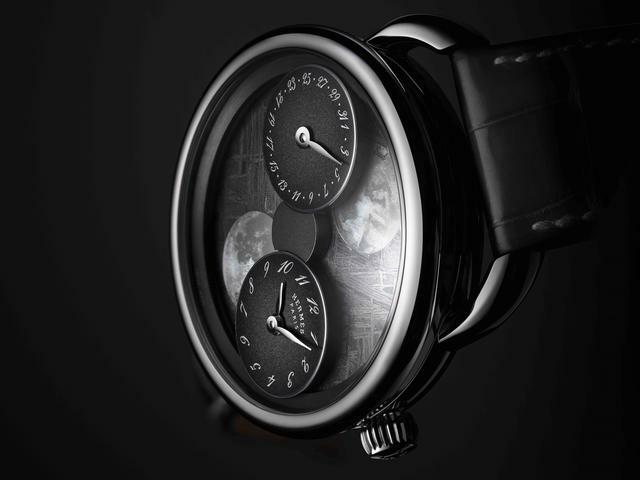 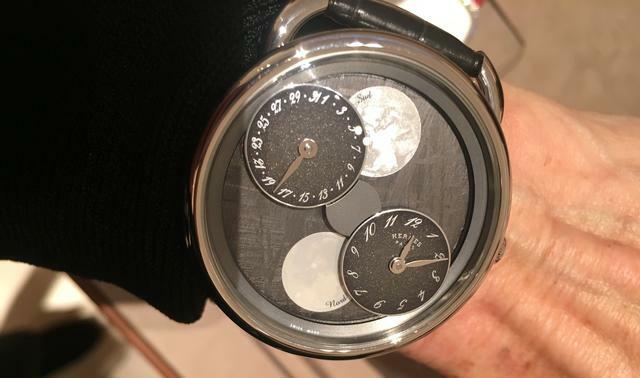 This SIHH 2019 debut offers simultaneous display of moon phases in the northern and southern hemispheres while also showing the time and date. 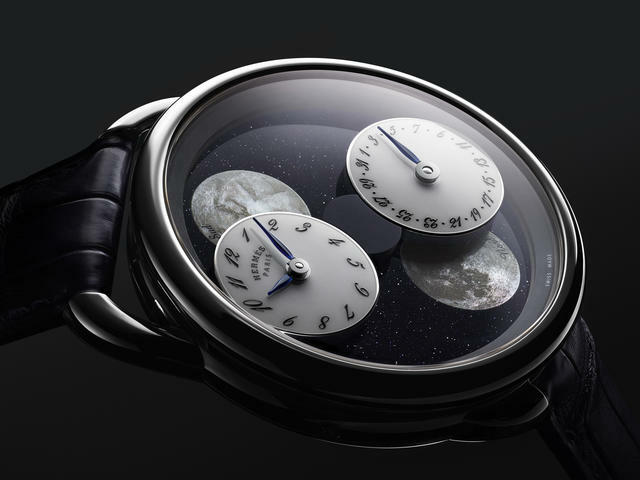 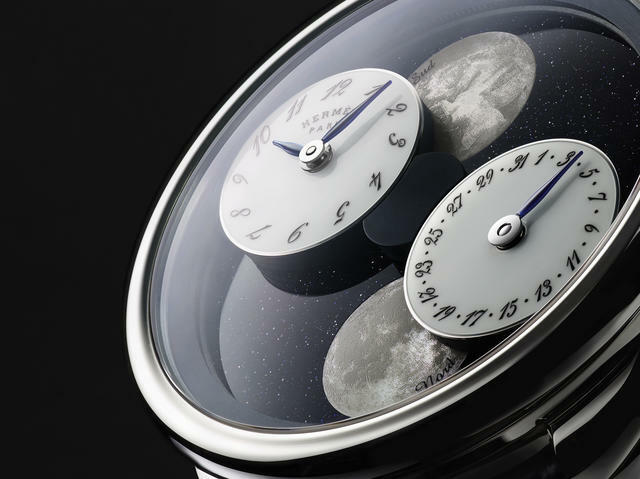 Both displays rotate, retaining their orientation, around either a meteorite or aventurine dial, revealing mother-of-pearl moons that are coupled with the Manufacture Hermès H1837 movement, assisted by a moonphase module made for Hermès. 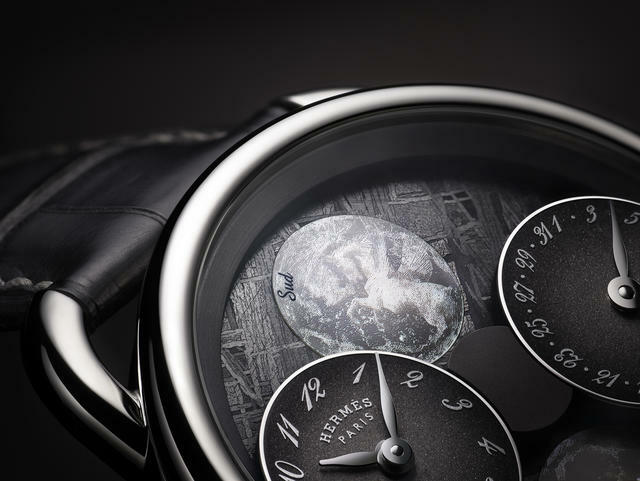 The 43mm white gold Hermès Arceau case with its asymmetrical lugs frames the meteorite stone or aventurine dial. 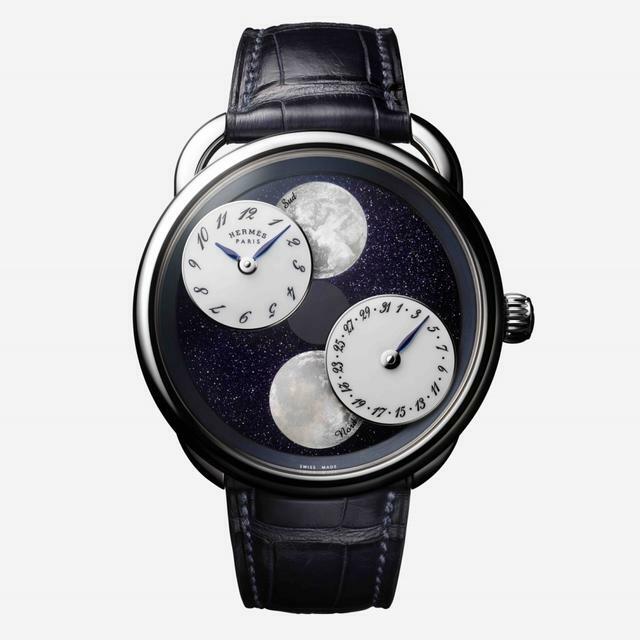 The watches are to be issued in two 100-piece limited editions, and fitted with a matte alligator strap in graphite grey or abyss blue.